The reason of our starting this project is to contribute to the development of Azerbaijan, which is new in Digital World. Private Shopping Company. We offer discounted products of exclusive brand clothes and accessories by way of 3-7 daily campaigns to our users/consumers.Mission: To realize a high degree of expectations of our customers, to provide them with accurate and reliable shopping service. Vision: To be a leader in Azerbaijan , with the responsibility of staying loyal to the highest standards in the field of e-commerce. I was born in Azerbaijan, Baku. After graduation from Baku Anatolian High School, got full scholarship from Turkish Republic and continued my education at Telecommunication Department in I.T.U. 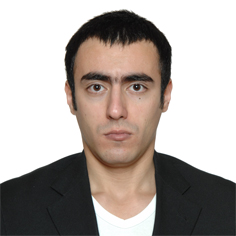 I am the co-founder of the Association of Azerbaijani Organizations. Also I am the co-owner and the co-founder of the Brandbook LTD. I am living and working in Istanbul at the moment. I was born in Azerbaijan, Sumgait. After graduation from Tefekkur High School, got full scholarship from Turkish Republic and continued my education at Banking and Insurance Department in Marmara University. I am the co-founder of the Association of Azerbaijani Organizations. Also I am the co-owner and the co-founder of the Brandbook LTD. I am living and working in Istanbul at the moment. I was born in Azerbaijan, Baku. After graduation from Baku Chemistry and Biology High School, got full scholarship from Turkish Republic and continued my education at Physics Department in Istanbul University. I am the co-founder of the Azerbaijan Union Organization. Also I am the co-owner and the co-founder of the Brandbook LTD. I am living and working in Istanbul at the moment. I was born in Azerbaijan, Baku. After graduation form #286 High School, got full scholarship from Azerbaijan Republic and continued my education at Applied Mathematics Department in Baku State University. I am married and I have got a son. I am the co-founder of the Genius Training Center. Also I am the co-owner and the co-founder and General Director of the Brandbook LTD. I am living and working in Baku at the moment.